Penrite Honda Racing’s Brett Metcalfe enjoyed a podium finish over the weekend at round 7 of the MX Nationals ‘Retro’ double header, held in Raymond Terrance, New South Wales. Due to noise restrictions, the two round racing format took on an unorthodox schedule. Round 7 was split across the two days with moto 1 taking place on Saturday and moto 2 on Sunday morning. 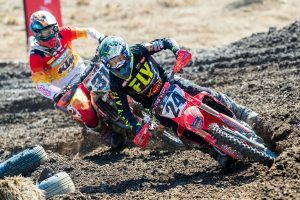 Then round 8 kicked off on Sunday afternoon with two, eight lap races running back to back, with an eight-minute break in-between. Metcalfe’s pace in round 7 was fast and fierce. He pushed hard and finished 2nd and 4th respectively to take out 3rd overall. “Coming away with a 3rd overall at round 7 felt good, it’s where we need to be all of the time and it’s given the team and I something to work towards, we know consistency is the key!” Metcalfe said. Metcalfe finished round 8 with a 3rd and 6th respectively, moving into 5th overall in the Championship. “For round 8, things felt off for me, the format was different and caught me off guard and I think not practicing or qualifying was particularly hard for me. I didn’t come away with the result I needed or wanted for round 8, it’s unfortunate. I do take the positive though that we have moved from 9 th in the championship to 5 th and I’m happy with the pace we showed” Metcalfe finished. 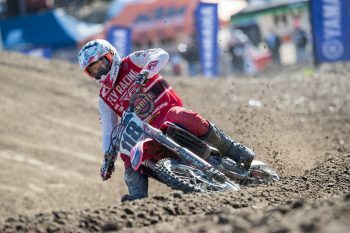 Callum Norton had a mixed weekend of results, after his first foray in the MX1 class. “This weekend was a lot about learning and understanding my new competitors. My starts were not that great and something I will work on but I was happy to finish 8 th overall at round 7. The team are very pleased with Norton’s display of competitiveness over the weekend, on both days. Finishing 8 th in both motos in round 7 and in round 8, finishing 8 th and 17th , which saw Norton finish the weekend in 12th overall. “I am happy to take top 10 finishes in three out of four races. 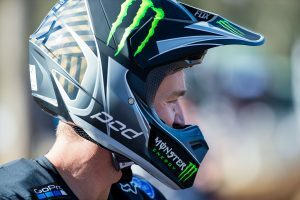 I know what I need to work on before round 9 and I will be 100% focused on motocross now that the desert races are over,” said Norton.